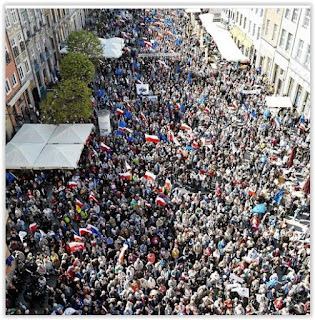 This is yesterday's demonstration in Gdańsk, Poland against the anti-constitutional moves by the current ruling party: in the town where Lech Wałęsa fought the communists, the march started under the Monument to the Fallen Shipyard Workers. 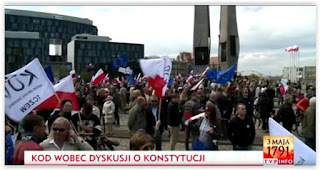 The motto of this march was "No to the Breaking of the Constitution!" Participants in the so-called "Marsz Wkurzonych [March of pissed-off]" thus celebrated the 225th anniversary of the Constitution of May 3rd, and at the same time protested the violation of the Constitution by the current ruling party. 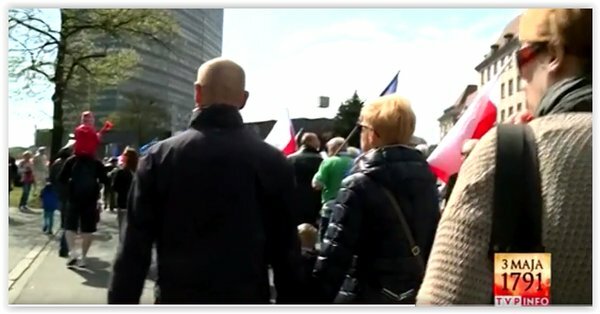 This is how state-controlled TV censored the news. This is a bit like the way British archaeologists present metal detecting, no big problem at all, everything fine with the "partnership". 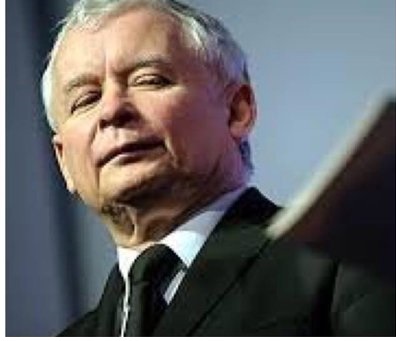 The problem is that the picture at the top is the real one, the other three are a manipulated illusion and the Polish public is getting fed up with the lies of the state media (which have lost over three quarters of a million viewers in the past few weeks). The day after tomorrow we plan another massive march ("The Big Blue March"). This looks like it is going to end badly for the nationalist government in the long run - and what about British archaeologists?